There are two kinds of people in this world: those who think Meyer lemons are God's gift to man and those who have never tried them. Grown all over American citrus country—California, Texas and Florida—Meyer lemons are thought to be a cross between a standard lemon and a mandarin orange. They're distinctly sweeter than standard lemons and a little less acidic, and they have a totally distinctive fruity-floral aroma that makes them absolutely irresistible. And if you can get your hands on them, they make killer cocktails; their unique, vibrant flavor shines through whatever drink is lucky enough to get them. 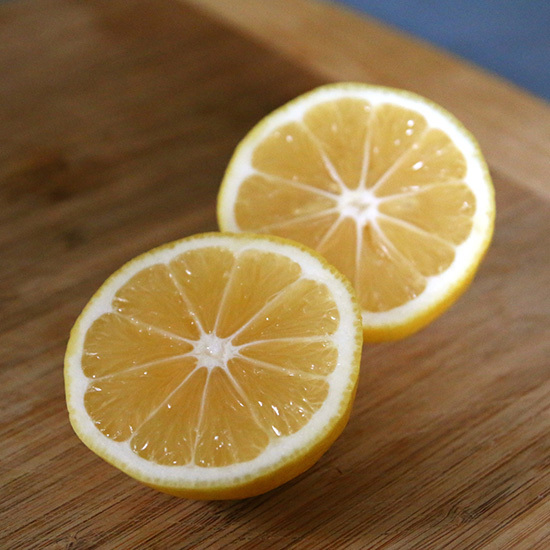 Winter is peak season for Meyer lemons, so grab some and get mixing. Here are three cocktails to get you started. A classic gimlet is gin and lime, but swap the lime out for Meyer lemon and you've got a mellower, more fragrant cocktail that tastes far more complex than the sum of its parts. Instructions: In a cocktail shaker with ice, combine 2 ounces of gin, an ounce of freshly squeezed Meyer lemon juice and half an ounce of simple syrup (equal parts sugar dissolved in hot water). Shake that all up and strain into a rocks glass with fresh ice. Garnish with a lemon wheel. A French 75 is a brilliant cocktail all on its own—gin and lemon topped off with a big pop of Champagne—but go with Meyer lemon, and you've got a drink that's celebration-worthy. Instructions: In a cocktail shaker with ice, pour an ounce of gin, 3/4 ounce of freshly squeezed Meyer lemon juice and half an ounce of simple syrup (equal parts sugar and water). Drop in a dash of orange bitters, if you have 'em. Shake that all up and strain into a coupe or flute. Top off with 2 ounces of sparkling wine (Champagne is awesome but not strictly necessary) and garnish with a skinny lemon peel. A classic whiskey sour—not to be mistaken for anything made with sour mix, because please never do that—is an underappreciated cocktail. (Lemon, sugar and just about any kind of booze works great; whiskey is no exception.) Here, we're opting for a sour with egg white, which lends it a silky, slightly creamy texture, making it that much more irresistible. Instructions: In a cocktail shaker without ice, combine 2 ounces of bourbon, 1 ounce Meyer lemon juice and 1/2 ounce simple syrup (equal parts sugar and hot water). Add one egg white. Shake all that up hard without ice—this is called a "dry shake"—and then add ice and shake again (the "wet shake”). Strain into a cocktail glass. Garnish with a lemon wheel.